Lochranza is a perfume by Arran / Arran Aromatics for men. The release year is unknown. The scent is spicy-citrusy. It is still in production. This refined scent is a medley of citrus fruit with lovely green and woody underpinnings. It starts with a burst of lemon and bright orange. To these are added a hint of peppermint and some vetiver, wonderfully pungent in this fragrance. Together with the earthy patchouli, the vetiver gives "Bay Citrus" a sharp greenness that accents the lemony aspect of the scent. 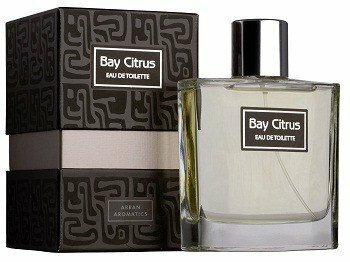 "Bay Citrus" is a very easy perfume to wear, provided you love lemon and vetiver. Far from being a fragrance for "men only", I recommend it to everyone who is looking for a long-lasting, invigorating and reasonnably priced citrus-scent with a difference. Write the first Review for Lochranza / Bay Citrus!